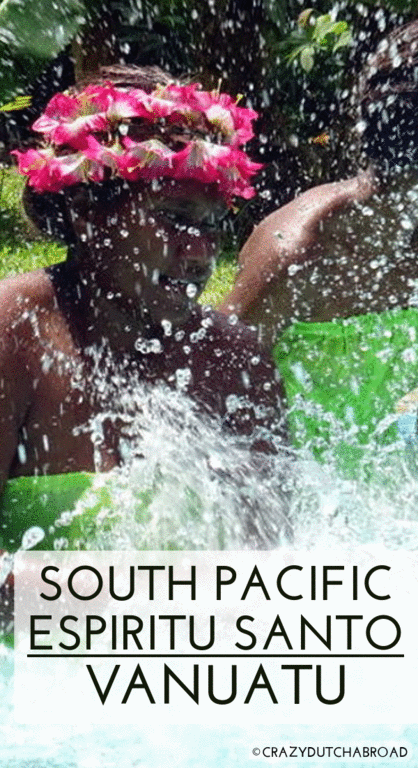 South Pacific Destination: Espiritu Santo in Vanuatu! 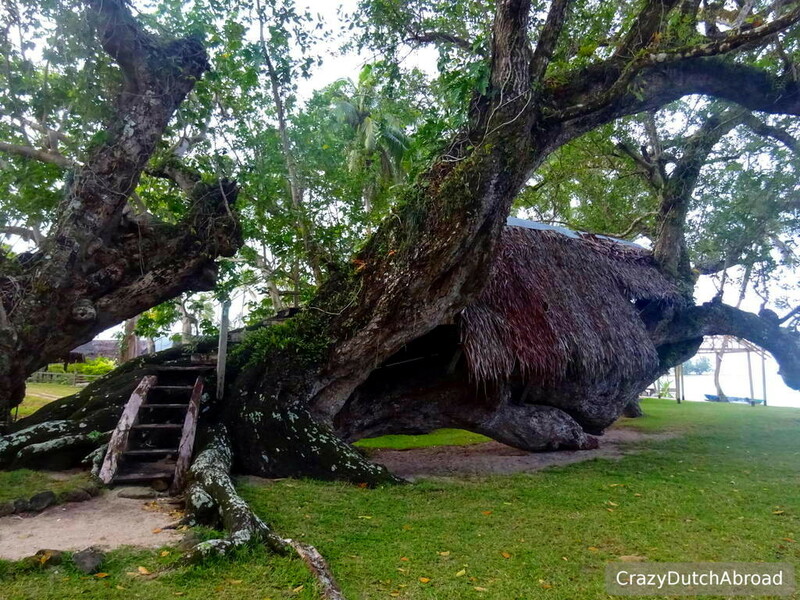 Espiritu Santo, or Santo in short, is the biggest island of Vanuatu. 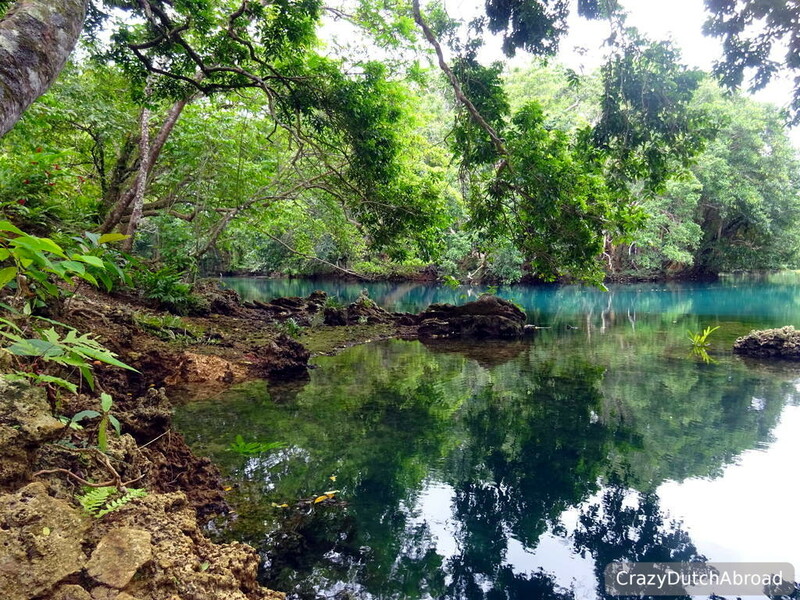 The landscape of Santo is a bit similar to Efate, beautiful coast lines, blue holes, lagoons and a lot of forest. There is no ring road around this island but you can drive on a sealed road all the way up to Port Olry and Champagne Beach. 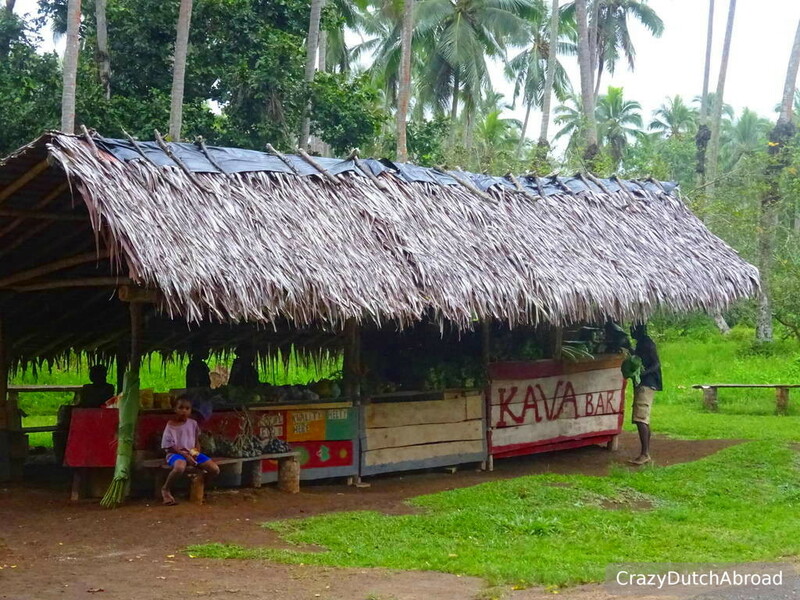 Many palm tree plantations and kava bars decorate the street up North. 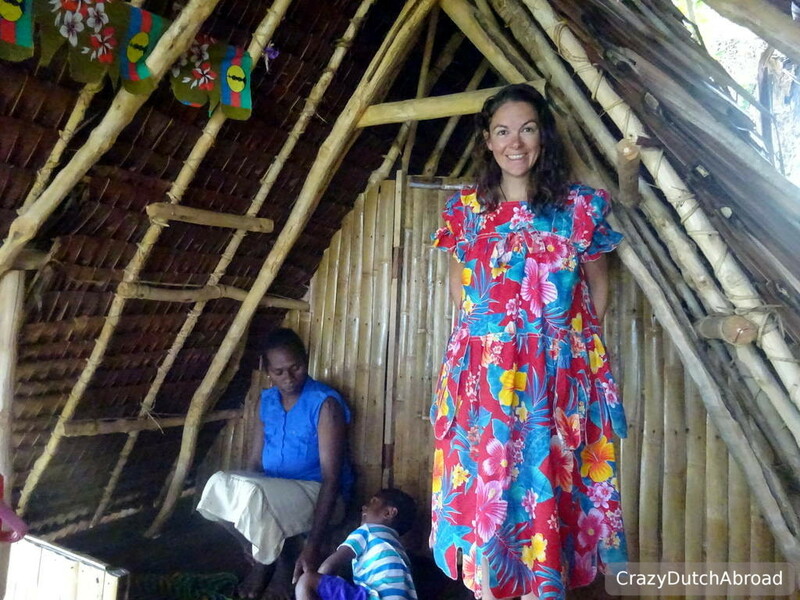 Things to love about Espiritu Santo in Vanuatu! World War 2 history in clear South Pacific waters! Probably the main reason why people end up on Santo, us as well, is the world class wreck diving. During and after the second world war ships sunk just off shore and army goods were dumped in Vanuatu. Diving the SS President Coolidge wreck, the largest easily accessible shipwreck in the world, and Million Dollar Point, a dump yard with millions of dollars worth of goods from the US Army are the highlights. You can snorkel Million Dollar Point as well, but most of it is quite deep so free diving or SCUBA diving is a better option. You pay an entrance fee here since the land is owned by a local family. There are some possibilities to rent cars, scooters (Deco Stop) and quads as well (Island Time Kayaking). The scooters are only suitable for one person so for two days it is cheaper to rent a car. We found the cheapest car (4WD) on Santo with Espiritu Hotel! Unfortunately our car came back broken so we could not use it. We decided to go with public transportation - on the back of a pick-up! Right in between groceries, on top of a spindle of barbed wire the roadtrip began. Everybody loved to see 'tourists' in local transport. People waved along the way (they do this anyway to all passing traffic but less enthusiastic). Unfortunately it started to rain halfway so everybody held on to a plastic sheet to stay a bit dry, no more views but many laughs and only a few dollars for the trip. We stopped at almost every local shop and kava bar so people could buy something and decide if they wanted to hop on or off - it took ages but was really funny to see. Now this is something different! Sleeping in a tree house right at the waterfront. The beach here is amazing, really breathtaking. The locals say the free Port Olry Beach is more beautiful than the more touristy Champagne Beach (2000 VUV entrance fee per person!). Armed with a mosquito net, I have not seen any mosquitoes by the way, and a mattress on the floor it is like sleeping outside! Hope for a breeze on hot days! Solar torches to light-up your room, an outdoor bathroom with cold water and breakfast with coconut gold (a sweet jam) and fried dough buns. The restaurant offers great dinner plates for a reasonable price (prices for day visitors and snorkelers on the black-board are higher). 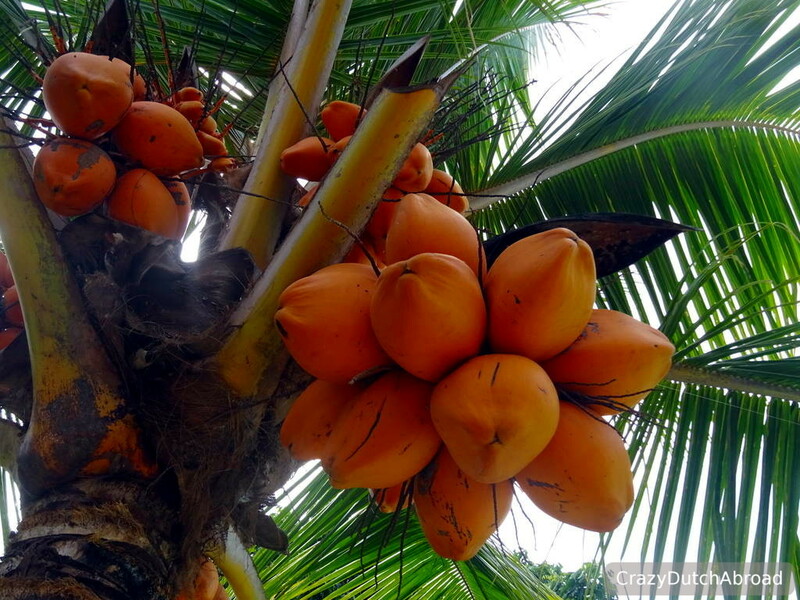 A glass of wine or a beer is available and fresh young coconuts served cold. Port Olry itself is a small local village, do not expect souvenir shops, bars or restaurants. The concrete road stops, chickens run around and children play with plastic milk jars. Houses are basic and women wear the traditional big flower dresses (Mother Hubbard dress) preferably with extra fabric flaps on the side. We walked through the village with one of the family members of the Tree House and saw the school, cemetery and church. There is not a lot to see but a great local experience. There are many blue holes around Santo. They are filled with crystal clear blue water, very refreshing (cold!) and the scenery is just breathtaking! 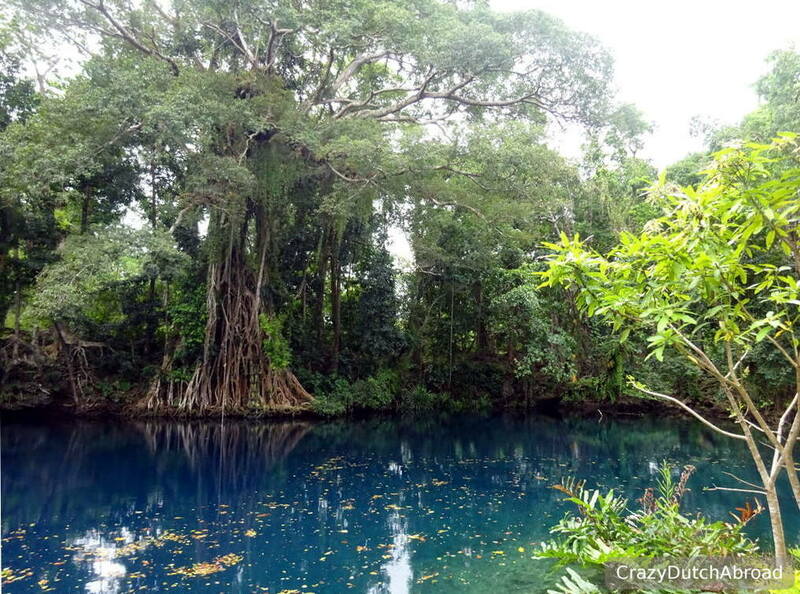 Some are more beautiful than others, Matevulu is one of the biggest and amazing blue holes! All land is owned by families and entrance fee of about 500 VUV is mandatory - prices vary. Often you can rent a kayak and buy soft drinks and snacks. Often there are ropes to swing in the water as well, the hardest part is grabbing it and climbing-up. Try to organize the trip yourself you so can escape the crowds, change to the next if it is too busy, etc. Have the place to yourself and no other people on your selfies. There are signs from the main road, easy to find. Lessons learned on Espiritu Santo in Vanautu! Even-tough many people loose track of time and days during their holidays, well - you do not want this to happen in Vanuatu! Especially on Sundays - everything is closed and public transport is really hard to find. Make sure to book your trips and car rentals in advance and buy groceries on time. Again we made the same mistake. 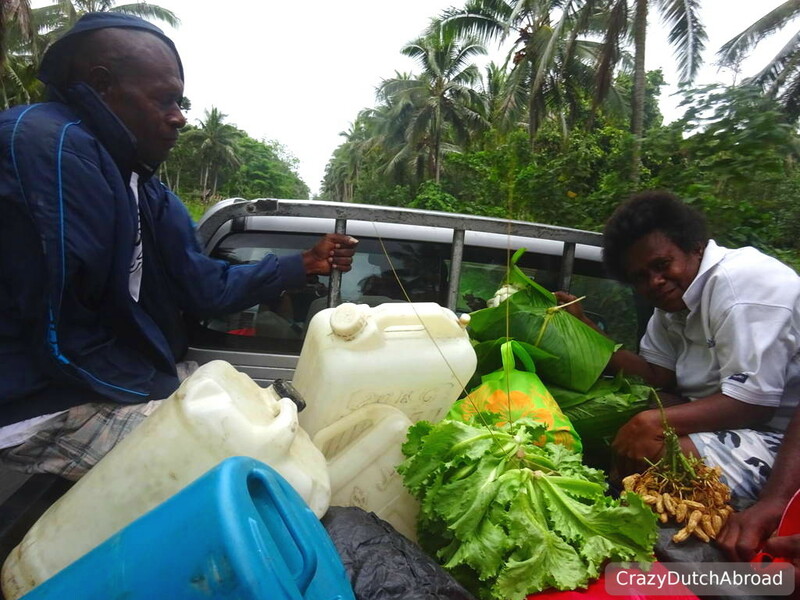 This time we needed transportation back from Port Olry to Luganville on Sunday - we ended up paying a lot for private transportation and waited hours before anything happened. Hospitality in a different way! 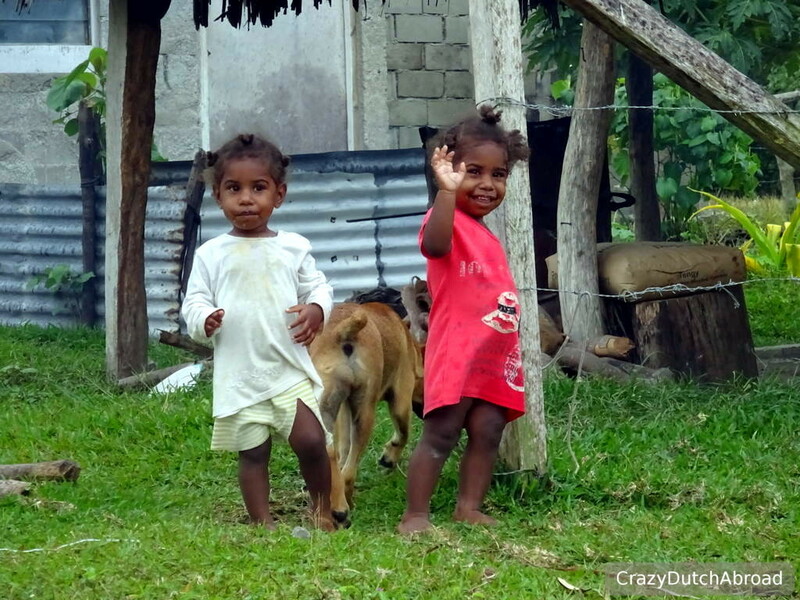 Of course you have to consider Vanuatu is a remote country, supplies are limited and transport can be expensive. 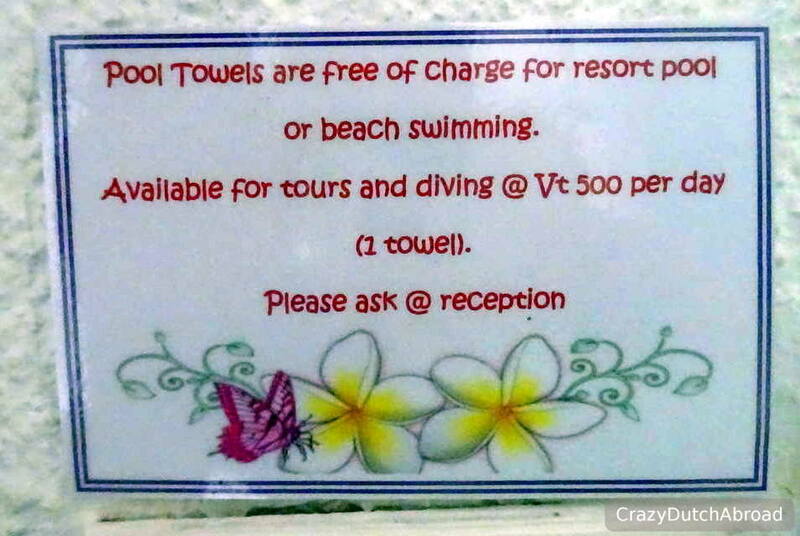 Rules and signs like paying extra for taking the towel for beach diving instead of beach swimming feels like a rip-off. 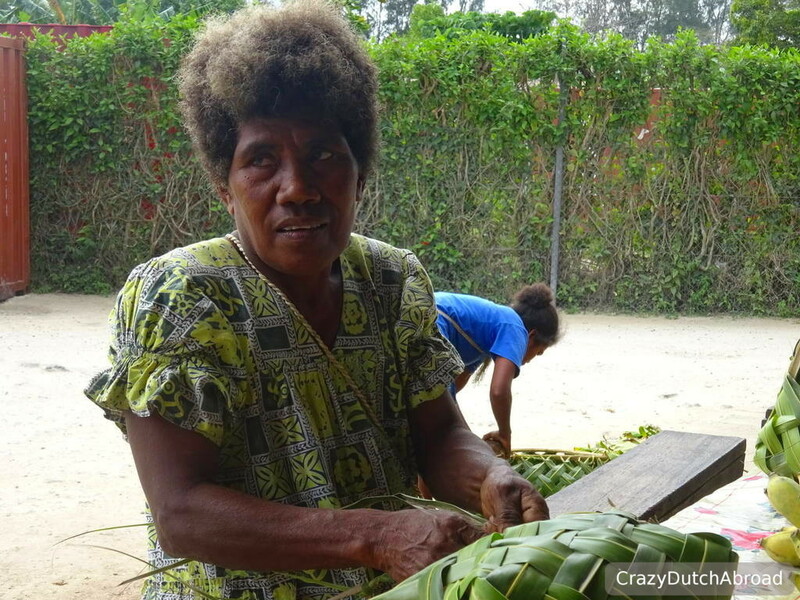 Vanuatu does not get a lot of tourists compared to other destinations around the world but tourism is rising. The land is owned by families that try to make a bit of money out of your visit. Entrance fees of a few dollars often apply, do not expect anything else than the permission to enter. Shops and restaurants are often low in stock without any rush to supply and make some more money. The laid-back island life vibe is clearly noticeable. Organizing things often does not go really efficiently, it often takes a few people to do one task and waiting for answers/solutions is part of the game. Do not expect immediate service, just wait or ask them to serve you whenever they are ready. Got the point? Other than that, just lovely people all around that are interested in where you are from, etc. Things we skipped but you might love on Espiritu Santo in Vanautu! As mentioned before we were at Port Olry beach, right around the corner - with a wider beach strip and free entrance, supposed to be more beautiful as well. There is a tour offered by Oyster Bay Resort where you float down the river with a life jacket to visit the waterfall. Afterwards you walk back through the forest. We did not check prices but the trip seemed too 'organized' for us and we have seen quite a lot of waterfalls in the last months. The facts about Espiritu Santo, Vanautu! Strip with bars The 'strip' of Luganville has a few restaurants within walking distance from each other along Main street. Spots we loved Deco Stop Bar, Natangora Cafe and The Tu Restaurant & Bar. Club Sandwich/Pizza Margarita 400 VUV, but skip the pizzas! Number of restaurants and bars in top-area Something between 5 and 10, only a handfull open at night. Quality of local food Vanuatu beef (steak!) is good! Full local dishes you can find next to the market, cheap but not so interesting: Dry rice, tasteless chicken, overcooked vegetables. Local transport In the back of a pick-up truck. Prices are cheap, pray for dry weather! WIFI Buy a Digicel SIM at the airport, same price as in town. UMTS It works pretty good for a remote Island Country at 10 USD per GB. WIFI Hot spot Restaurant Natangora Cafe is good, as well as the food and service. Beaches There are beaches all around the island, some spots are great for snorkeling - not so many fish. ATM There are only ATM's in Luganville, not around Port Olry or Champagne Beach. Endangered Coconut crab is often on the menu but they are endangered species! Please do not support this business. Dollars Be aware that Australian and US Dollar prices are mixed sometimes and the value is quite different! Domestic flights Santo is reachable with a domestic flight of 50 minutes with Air Vanuatu, prices are fixed! There is also a cheaper slow boat which takes about 2 days. 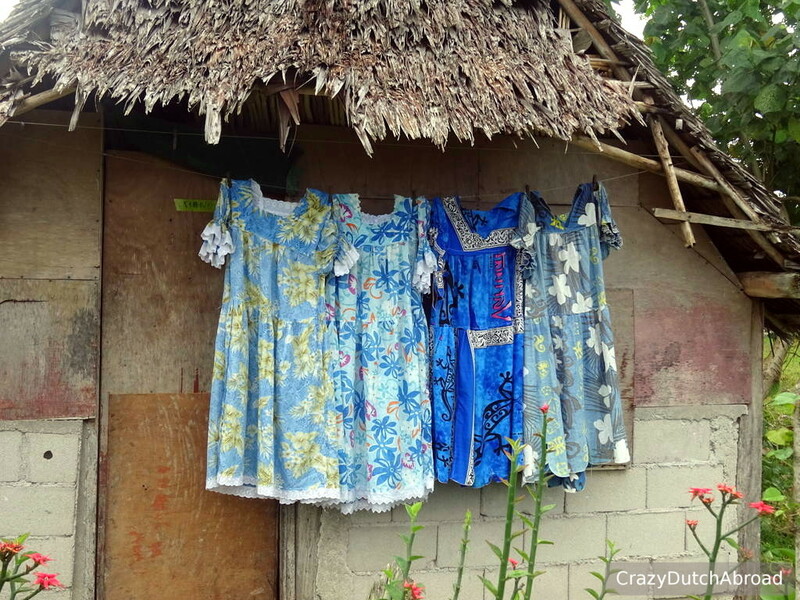 Traditional dresses women wear in villages, especially on Sundays and for special ceremonies.